The biblical story of the Nativity is one about faith, love--and a miracle. 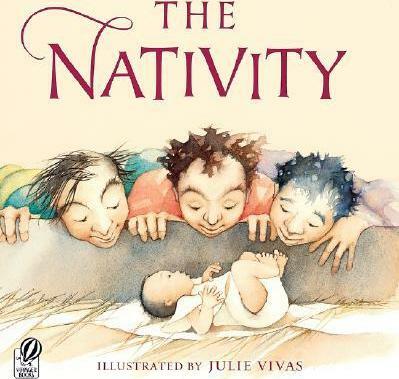 With illustrations that are enchanting and unexpected, Julie Vivas reveals the human side to Mary's story, beautifully imagining the Angel Gabriel delivering the news to her, the exhausting journey with Joseph to Bethlehem, and at last the deliverance of the baby Jesus. JULIE VIVAS is the talented illustrator of I Went Walking by Sue Williams as well as the Mem Fox classics Wilfrid Gordon McDonald Partridge and Possum Magic. She lives in Sydney, Australia.